It was a great week for many dogs at Orphans of the Storm®! I of course have to say an extra-big YIPPEE!!! for Rocco, who was adopted after waiting several years for his perfect family to find him. We’re all so happy for you, Rocco! Although the dogs profiled this week are fairly new to the shelter, they’re all eager to find their new forever homes in time for the holidays, too! Yeager the two-year-old Labrador Retriever mix is an energetic, enthusiastic boy. 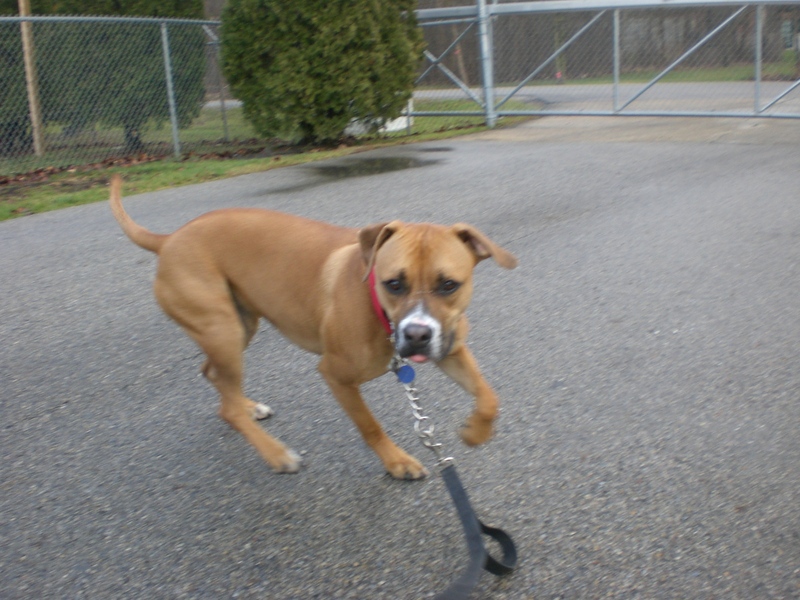 He happily greets anyone who stops by his kennel and was extra excited to come outside for a walk with me. Because he was so energetic, it was a little hard to get a good picture of him. But I can tell you that he is a cute little guy. 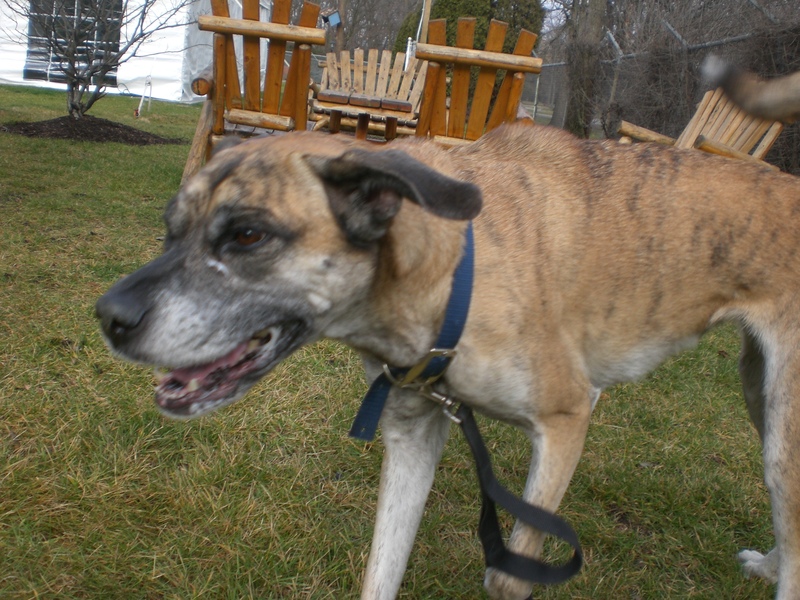 Yeager would probably prefer to be in a more active home where he can go on nice walks and have some playtime. 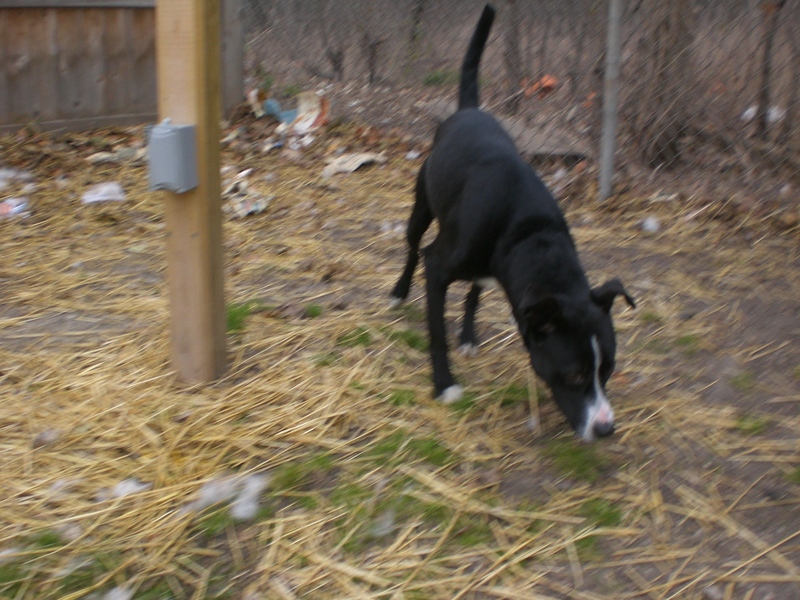 He currently jumps up when he’s especially excited, but as part Lab he should be easy to train and happy to please. Yeager is hoping somebody comes to the shelter and spreads holiday cheer his way! Molly the three-year-old Boxer/Shepherd mix is such a sweetheart. 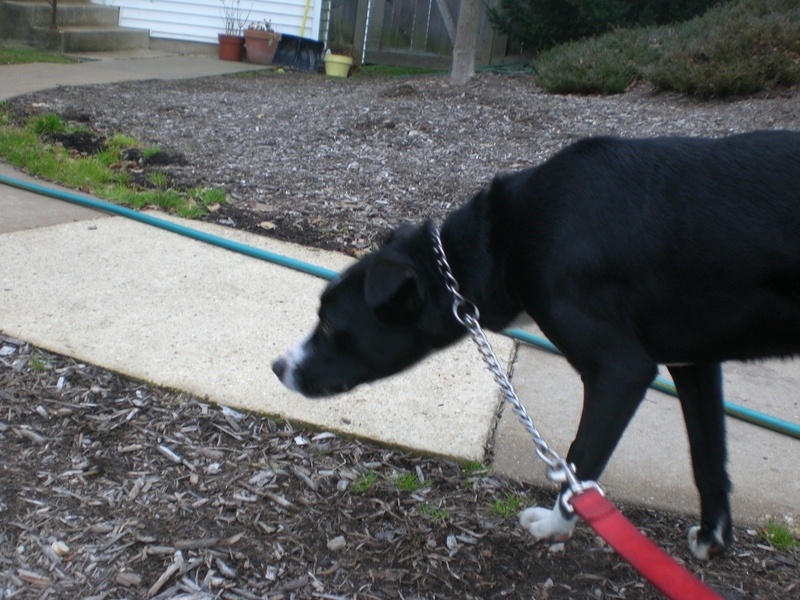 (Molly the Pit Bull Terrier mix and Mollie the Lab mix are also sweethearts!) She likes people and dogs alike and would make a great companion dog. She seems like she would bond very quickly to her new family (she’s already attached to Reebok, her current kennelmate) and make for a loyal friend. Molly loves attention and will look up at you with those big brown eyes with a silent “thank you” while you scratch her neck and ears. She’s also happy when she’s on the move and would appreciate nice walks around the neighborhood. She does well on a leash, so it will be a great time for both of you. Come in soon to meet Molly! 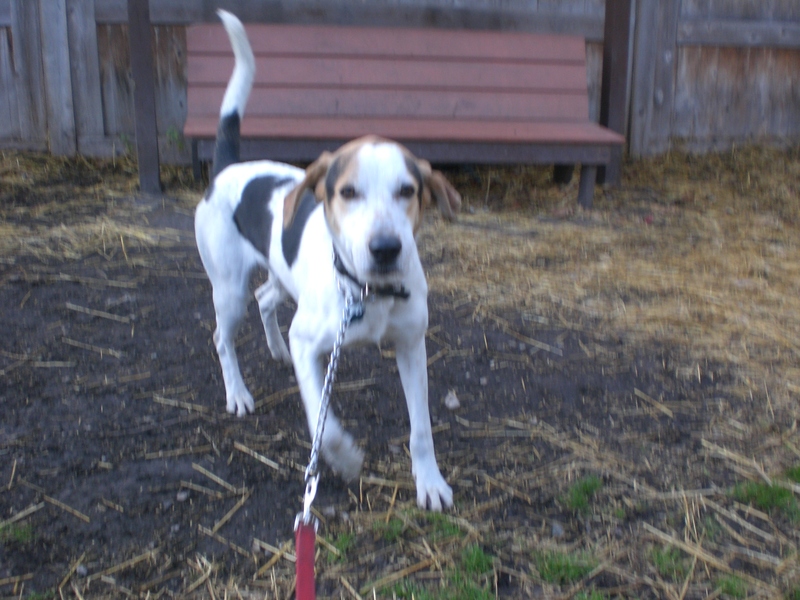 Barney the one-year-old Treeing Walker Coonhound mix is so cute and so happy that you can’t help but stop and say hello to him as you walk through the shelter. He absolutely loves people and his tail wags almost constantly. He’s kind of like a mini version of Rocco (also slightly smaller than Eever), but is still a strong boy. 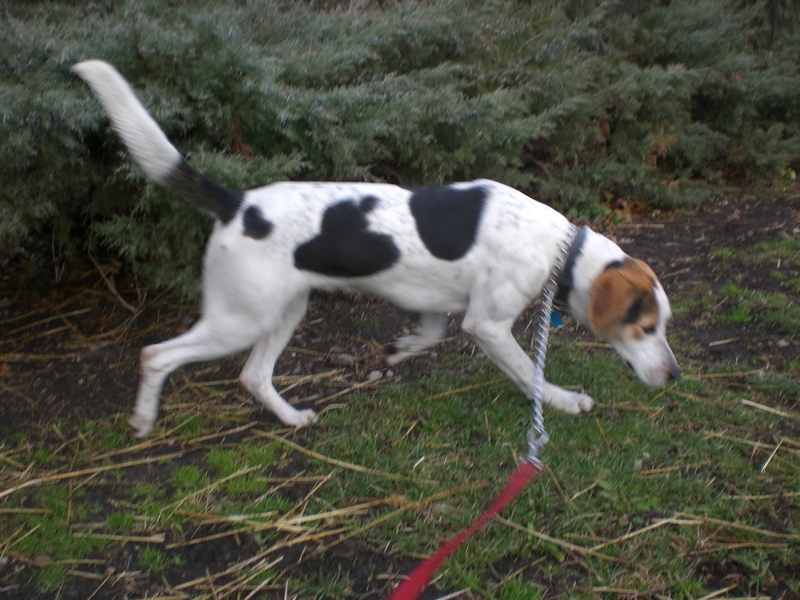 Since Barney is still fairly young, he could probably use a little training to make him a better leash-walking buddy. He is very eager to please, though, so training shouldn’t be a problem. 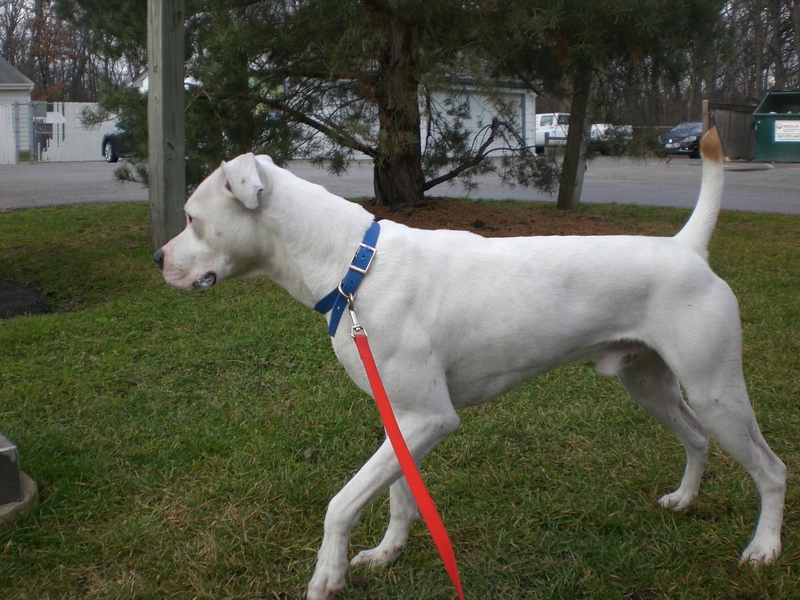 His breed is an active one, so he would enjoy activity and then be happy to snuggle with you. This cutie is hard to resist–find out if he’s the pooch for you! Brooklyn the one-year-old Pit Bull Terrier mix is another happy pooch waiting for his new happy home. He’s all white, except for the tip of his tail, which is brown. He wriggles with excitement, but calms down pretty quickly and didn’t pull too terribly much on the leash when we were walking. Brooklyn was very curious about everything that was going on around us. He watched the other dogs go by and sometimes attempted to play with them from a distance. He liked saying hello to different people–‘shy’ is not part of Brooklyn’s vocabulary. 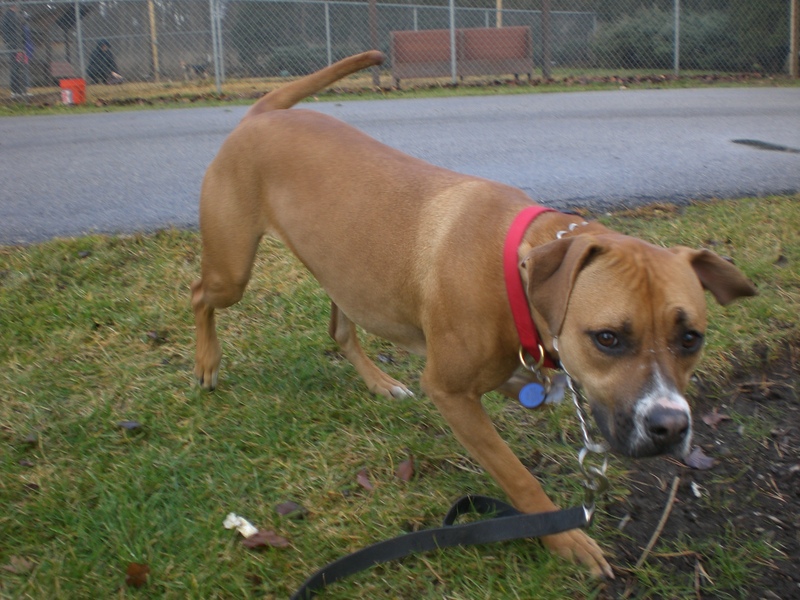 If you’re interested in an outgoing, enthusiastic dog, come in soon to meet Brooklyn! Ginger the two-year-old Boxer mix is such a good girl. Her original owner was an older gentleman who didn’t feel he could properly care for her anymore, but Ginger is very well-mannered and knows her basic commands. She’s well socialized and friendly with dogs of all sizes–she wanted to play with Lincoln and also had a fun time with Tornado (see below). Ginger is great at walking on a leash and stayed close to me. If we stopped walking, she would sit down to wait until we started moving again. She loves being pet and would be happy to curl up on the couch next to you for some cuddle time. Ginger is sweet, cute, and well-behaved–what more could you want from your new dog? 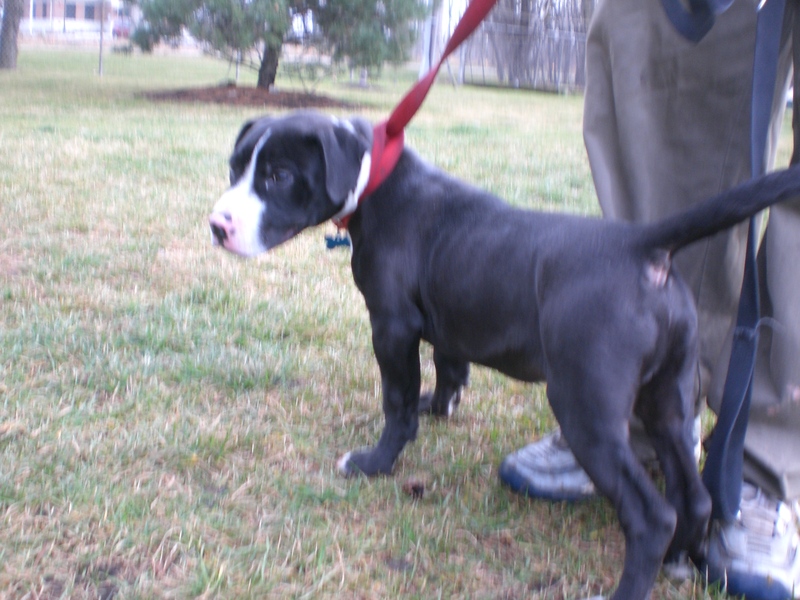 Tornado the Pit Bull Terrier mix is just a few months old. It is literally impossible to not squeal in puppy-adorableness-joy when you see him. I rarely write about puppies as young as him, because they’re likely to go home quickly, but I will take this opportunity to remind readers that although Tornado is a cute little puppy who can easily be carried around in your arms right now, he is going to grow up to be a big, strong boy. Please do your research and understand what the full-sized, adult version of your puppy-of-choice is going to be like before you adopt. We want every puppy’s home (and every dog’s home) to be their forever home. That being said… PUPPY! Tornado has a precious puppy face with a little pink nose. He licks any fingers or faces that get close enough to his mouth and wants to play with everybody. He kept pouncing on and pawing at Ginger, who responded appropriately and pawed and pounced right back. Tornado tried to climb into my lap on several occasions and lick my face. 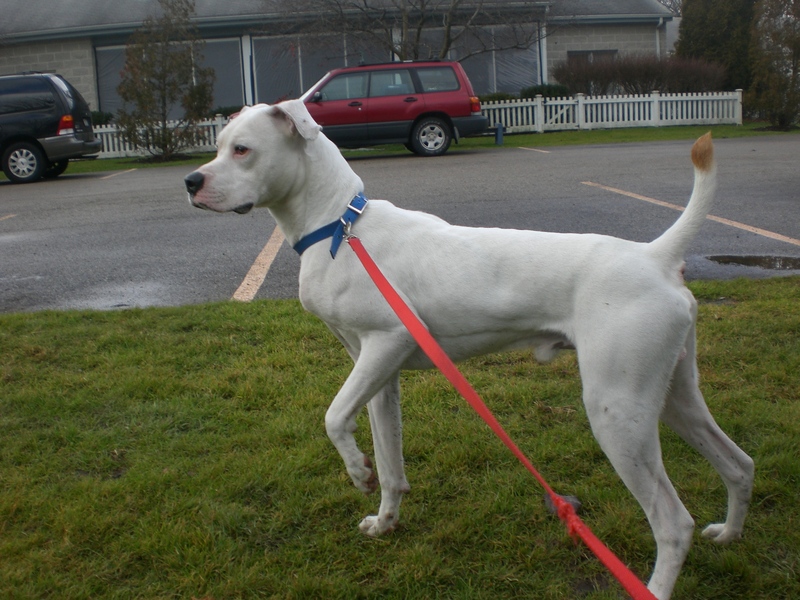 He’s at the perfect age to benefit from good training and good socialization with both people and dogs. 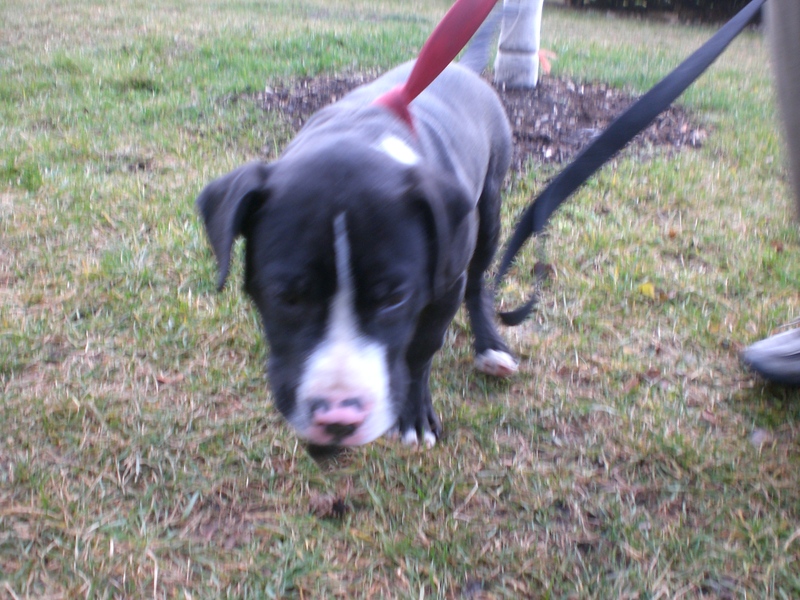 If you’re looking for a tiny puppy who will become a big dog, come say hi to Tornado soon! Don’t forget that Orphans of the Storm® has extended holiday hours this Thursday, Friday, and Saturday–they’re open until 8pm all three nights, which means three extra hours for you to stop by and meet your new furry friend! 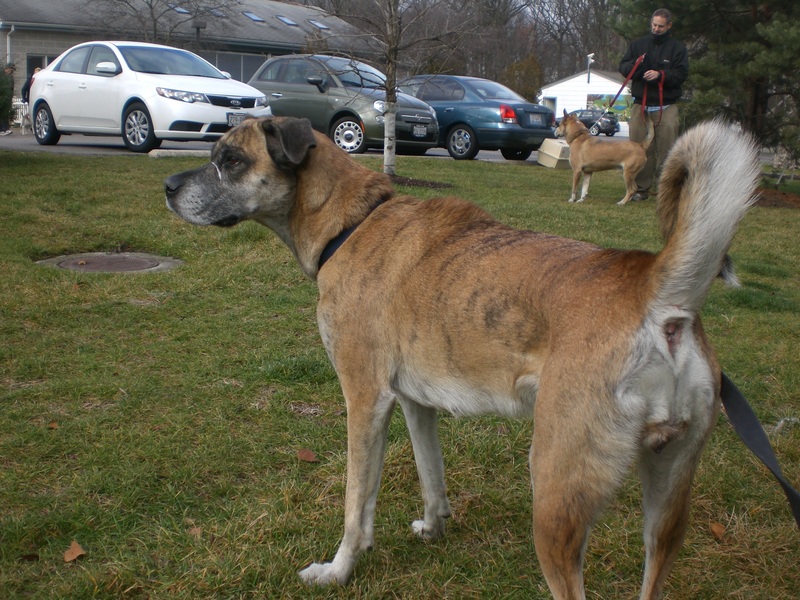 Posted by Meet the Pooches on December 13, 2012 in Dog Profiles and tagged adoption, Boxer, Chicago, dogs, holidays, Labrador Retriever, Orphans of the Storm, pets, Pit Bull Terrier, Shepherd, Treeing Walker Coonhound. Reblogged this on Katey's Keep. You’re welcome! Thank you for Writing it. I hope they all find homes very soon!